I have another mani from the Iced Lacquer Challenge hosted by Tia. Im posting this from my phone not sure how is going to come out lol.. Cute! 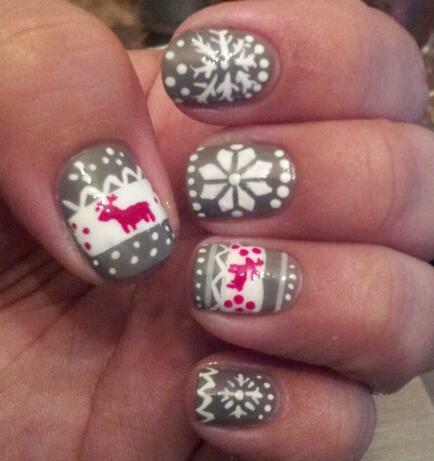 I love the detail - the reindeer look amazing! Lovely christmasjumper :-). Very neat work. 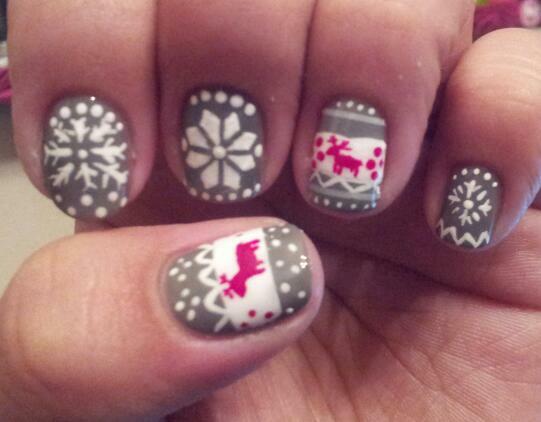 This is just PERFECT, I love this mani!!! These are cute! I love the little reindeer!